Yuki Nakahara was stacking wooden boxes according to size in a musty storage shed. As he walked past the open door, he saw a car driving up the dirt road toward the farm. It was traveling too fast, jolting, dust billowing up behind it. Yuki stopped and watched. He could see that the car was a new ’41 Ford—a fancier car than he usually saw this far away from Berkeley—and Yuki was almost sure he knew what that meant. He felt himself tighten, his chest suddenly rigid, but he had no idea what he should do. Yuki didn’t like the look of the guy. His dark hair was combed back slick, and his shirt collar was stiff and bright white—like he was someone official. His voice had sounded polite, but the look in his narrowed eyes was menacing. Yuki thought of running to his father, telling him to hide. But he knew he couldn’t do that. “I saw him walk into the house a few minutes ago,” Yuki said. “I’ll see if he’s still there.” He walked past the man and headed toward the house. Both men followed, walking fast enough to keep up. The second man—a smaller fellow with a brown suit, black hair, dark eyes—caught up to Yuki at the front door, where Yuki stopped to remove his boots. “Leave your shoes on,” the man said. “We’ll go in with you. Just tell your father someone wants to see him—nothing else.” He had a low, hard voice and some kind of accent, maybe New York. Yuki nodded, but he shoved the door open and stepped hard on the hardwood floor inside. He wanted to make as much noise as possible. The two men separated inside the little living room and stood on either side of him. Yuki thought of shouting to his father, telling him to run out the back door, but Father would never do that. He would be respectful. It was the way he dealt with white people, always. Yuki’s mother stepped into the living room from the kitchen. She was wearing a white apron over her housedress. Her hair was pulled back tight against her head. She was tiny, but now she took a breath and raised her shoulders. She looked directly at the men—one and then the other. “I’m Mrs. Nakahara. What may I do for you?” she asked. The man removed his hat. “Is Mr. Nakahara at home?” he asked. “My name is Agent Carson. This is Agent Aldo. As I said, we’re from the FBI. We need to speak to your husband.” Now there was more force in his voice. Father had appeared by then, behind Mother. He was wearing his work clothes, a bulky wool jacket over overalls. He had taken off his boots, and in his stocking feet, he seemed to shrink before the men. Father nodded, or maybe bowed just slightly. Father spoke better English than Mother was letting on, and he had surely understood the word “arrest,” but he didn’t move, didn’t show any reaction. “But you can’t arrest him for no reason. He hasn’t done anything wrong.” She took a step sideways, placing herself in front of her husband. “Stop right there. I don’t want to hear all that,” Aldo said. Carson put up his hand, as if to say “That’s enough” to his partner. “We’re going to ask you to go with us now, Mr. Nakahara,” he said. “I must change clothes,” Father said. Agent Aldo stepped forward and took hold of Mr. Nakahara’s arm. “Come with us now,” he said. He pulled on Father’s elbow and Father stumbled forward, then caught his balance and looked at Mother. “Where am I going?” he asked in Japanese. Yuki had attended Japanese language school when he was younger. He didn’t speak Japanese fluently, but he understood most things his parents said. “Actually, in time of war, in a war zone, under direction of our government, we can arrest those who may be a danger to others. This area has been designated a war zone by the government, and your husband has been listed as a probable spy. We don’t have to tell you all that, but now we have. Please get out of our way and let us do our job.” He took hold of Father’s other arm, at the elbow, and the two men led him toward the door, Father not resisting. Aldo turned suddenly and stepped close to Mother. “That’s enough, lady. Your husband’s a sneaky little slant-eyed Jap. That’s all we need to know.” He glared into her eyes, as if to see how she might react, but Mrs. Nakahara’s face only hardened. “On Sunday a bunch of sneaky slant-eyed Japs—just like him—bombed our country. His crime is, he’s on their side, not ours. And we’re not going to let him make contact with his buddies who are waging a war against us. Now, get out of our way or I’ll take you in with him.” He used his forearm to sweep her aside. Yuki’s anger suddenly fired. “You can’t treat us like this!” he yelled into Aldo’s face. Yuki stopped at the command, but mostly because he knew that he was only making things worse. “Shikata ga nai,” Father said. Yuki hated that idea, “it can’t be helped.” It was something his father believed and often said. It was the Japanese way of thinking—the old way. Yuki was too American for such acceptance. And yet, there really was nothing he could do. He stepped aside. Carson grabbed Father’s boots, and the two men pushed past Yuki, then opened the car door and forced Father into the backseat. Aldo stayed outside by the car, apparently to make sure that Father didn’t try to make a run for it. Carson returned to the house, and he systematically worked his way through the five rooms while Yuki sat with his mother, his arm around her shoulders. All that strength she had tried to show was gone now and she was weeping, her hands over her face. Yuki had told his father what he needed to do, but Father had said nothing, done nothing. It was always his way. A son didn’t tell a father what to do. Yuki and Shig had carried their lunches to school in paper bags. When Yuki was younger, his mother had prepared him a Japanese bento box, with rice and fish, but kids had turned up their noses at the smell. 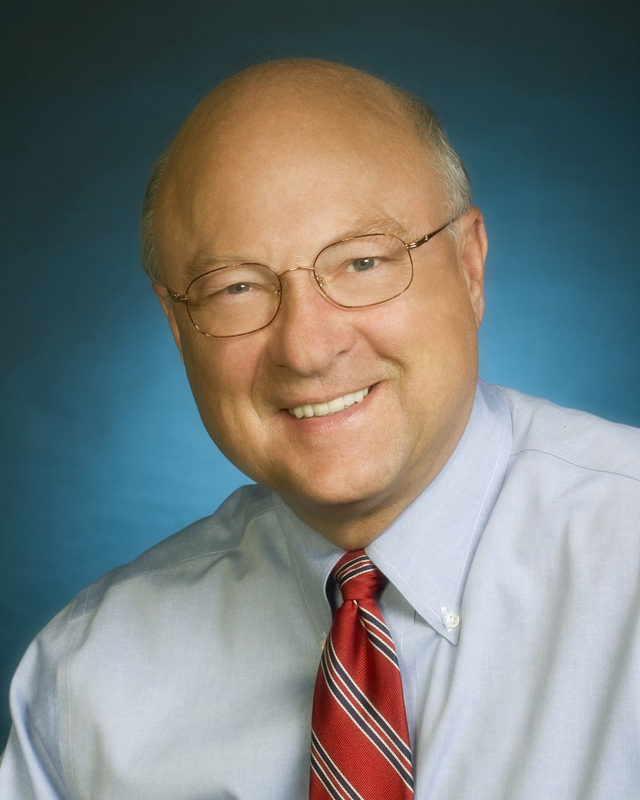 In high school, he and Shig had switched to bologna sandwiches and apples, like everyone else. But this week, since the attack on Pearl Harbor, they had sat in a corner of the lunchroom, at the end of a table, away from others. Two girls approached the table with their lunches, but they stopped short and turned away, leaving the table mostly empty in the crowded lunchroom. Yuki thought of welcoming them, but he knew that although it would have been all right the week before, it wasn’t now. Yuki and Shig had played baseball together for many years. Yuki had always played shortstop and Shig second base, and they had become a great double-play combination. It was true that Shig was really small—only about five feet tall—and he was quiet, so maybe that was why people didn’t notice him around the school. The ballplayers had always teased him about having no strike zone and about wearing glasses. But Shig was smart, and when he let loose a little, he was funny. He let Yuki get all the attention and do most of the talking, but when Yuki was struggling, especially with his stern father, Shig would always listen. The lunchroom was full of noise, the same as ever. Maybe a war had started, but kids were talking and laughing the way they always had. But now Yuki could see three Japanese American girls he knew headed for the table where he and Shig were sitting. This was becoming an island for the Japanese students, and yet, that was the last thing any of them wanted. “Will you stick with me, Yuki?” Shig asked. But now, at home, with the arrest of Yuki’s father, things had taken a new turn. It struck Yuki that he was going to have to provide for his family. Maybe he would have to drop out of school. He glanced at his mother, saw how devastated she was. “Don’t worry,” he told her. “We’ll be all right. I’ll keep the farm going.” But Yuki knew the truth: Everything had changed, and nothing was going to be easy. Agent Carson carried out a lot of stuff: copies of the newspaper Father published, a ceremonial sword that Father had brought with him from Japan, some paper lanterns, a set of binoculars and a flashlight, some letters written in Japanese, and even the Buddha statue from Father’s shrine. Then, for some reason, Carson came back and got the tabletop radio that sat on a kitchen shelf. “Why take our radio?” Mother asked, but Carson didn’t answer. “I’ll just say this: You better not be lying. If you’re caught with weapons at any time, your husband won’t be the only one locked up.” He touched the brim of his hat. “We’ll be going now. Be sure to follow the new curfew laws—don’t go out after eight o’clock in the evening. I’m sure you’ll hear from your husband at some point. Thank you for your cooperation.” With the radio under his arm, he walked out to the car. But Yuki didn’t want to believe it. He was an American, a citizen, and his family was loyal to the United States. They were farmers, churchgoers; they operated a produce business and paid their taxes. Father may have kept his shrine and he may have retained his love for Japan, but he was grateful for all he had been able to achieve here. And Mother was a “church lady,” a Methodist, who spoke English more correctly than most, with no Japanese accent at all. What more could people expect of them? 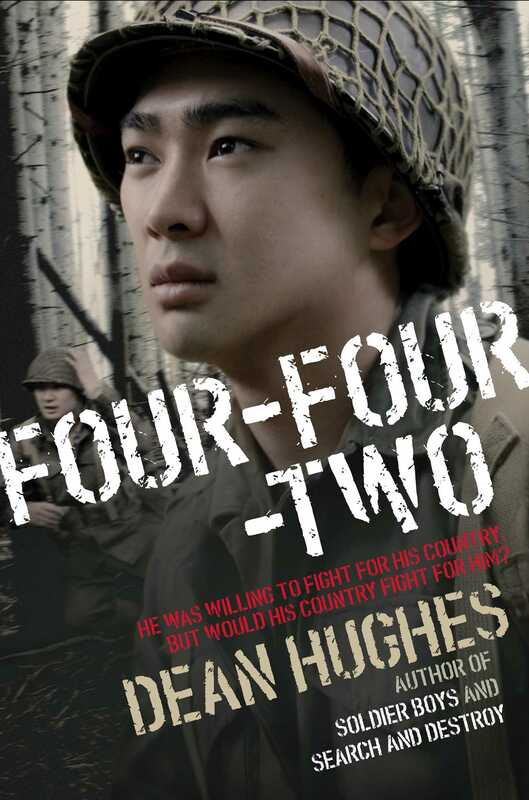 * "The story of two young Japanese-American men who enlist in the 442nd Regiment, a segregated unit of Japanese-American soldiers and white officers that fought in the European Theater.... Hughes sends these men through the wringer. They endure foot rot and the stress of taking the next hill (which is worse is up for grabs), and they also grapple with the consequences: how does one reconcile shooting a kid, even if he's an enemy soldier? Yuki reflects that "what he and Shig were doing—and the Germans, too—was brutal, disgusting," and he would "spend his life trying to remove all this ugliness from his head and his hands." Throughout, Hughes never shies from the institutionalized bigotry that put these Americans of Japanese ancestry into harm's way more than their fair share of times. Nuanced and riveting in equal parts." "Yuki Nakahara is American. He was born in California, wears jeans, and has never even visited another country—but at the start of World War II he becomes aware that other Americans see him as a foreign enemy. His family is one of the thousands of Japanese American citizens arrested and forcibly transferred to internment camps in the rural desert. Although depressed about their situation, Yuki and friend Shig decide to join the army to fight for their country and to prove once and for all that they are loyal to the United States. As the war wages on, however, Yuki realizes that he must respect himself and where he came from, and that neither war nor changing others’ minds is as easy as he had imagined. Although this is a work of historical fiction, the author’s thorough research about the boys of the 100th/442nd Regimental Combat Team and his meticulous descriptions of battle scenes bring the story to life without boring readers familiar or unfamiliar with the military lifestyle. The strong emotions evoked by the vivid details of battle and the other realities of war make this work sometimes difficult to read, but the excitement and compassion will keep even the most hesitant readers turning the pages. Those who follow the news will find connections between Yuki’s plight and current events. VERDICT: A solid purchase for collections looking to entice reluctant readers and those where historical fiction or war novels are popular." "Events, characters, and dialogue create an indelible sense of time and place.... Yuki emerges as a true hero during this dark period of American history." * "Hughes' writing effectively evokes the horrors of war and the internal conflict of young men fighting for a country that has treated them unjustly. The challenges of Yuki’s reentry into the States are also well conveyed: the guilt of survival, the difficulty of communicating the war experience to civilians, and the continued widespread racism.... This is historical fiction at its finest—immersive and inspirational."